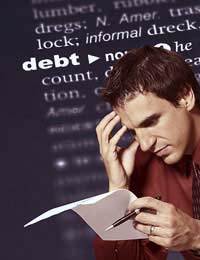 The treatment of your existing debt changes dramatically in bankruptcy. To begin with, you are forbidden from making payments directly to your creditors. Your assets, including your home, will be taken under the control of the Official Receiver or an insolvency practitioner. This individual is known as a trustee. The trustee will determine how your assets will be dealt with, and will try to ensure that your creditors receive as much of their money back as possible. Further information on the treatment of your debt is available elsewhere on this site. The trustee will look at your income and savings. If they determine that you are earning more than you require to live, they might ask you to put some of your earnings towards paying back your creditors. This could be achieved through an Income Payment Agreement or an Income Payment Order. More information on these is available elsewhere on this site. Bankrupts tend to find it difficult to secure credit at all. But if you do borrow, you must tell the lender that you are bankrupt if the sum to be lent is £500 or more. This rule holds whether you are intending to borrow from an individual or an institution. When you are declared bankrupt you will be required to stop using your bank accounts. They may be frozen by the Official Receiver. But you will, of course, still need an account – for example into which you can have your wages paid. There has long been concern that there are too few options available for bankrupts looking for bank accounts; indeed, the government is currently running an open consultation on bank account access for bankrupts. There are, however, a small number of so-called ‘managed bank accounts’ which generally do not require a credit check. Alternatively, you might consider a prepaid card. Some prepaid solutions will also allow you to have your wages paid into them. There are important restrictions placed on bankrupts with regard to business activities. The most significant of these is that you will be prohibited from being a company director. This can make life difficult for those who were hoping to continue running their business (or start a new business) in bankruptcy. Furthermore, you will be forbidden from “creating, managing, or promoting” a company without first seeking the permission of the court. In addition, if you manage a business (as distinct from a company), you will be obliged to tell anybody with whom you do business that you are bankruptcy. Clearly this is a very severe restriction, and one that can make running a business practically very difficult. If you are self-employed at the time at which you are made bankrupt, it is likely that your business will be closed. Assets will generally be seized, with a few exceptions like tools. You can stay self-employed in bankruptcy. The law on bankruptcy and pensions changed in 2000. If the petition for your bankruptcy was made on or after 29 May 2000, your pension will not be treated as an asset for bankruptcy purposes – provided that it is a scheme approved by HMRC. In practice this means that your pension cannot be taken to pay off your debts. The trustee may, however, be able to take any benefits received from your pension before your bankruptcy is discharged. Your ability to secure credit will be severely impaired by bankruptcy. Many lenders will simply not extend credit to those who are bankrupt or recently discharged. A bankruptcy will have a lasting impact on your credit rating. Although the bankruptcy itself may last for only 12 months, a record will stay on your credit file for as long as six months. This can make it very difficult to secure credit even after your bankruptcy has been discharged. In certain instances, though, you may be required to inform a potential lender of your bankruptcy – even after it has disappeared from your credit file. This is particularly common when applying for a large loan or a mortgage. If you are subject to bankruptcy restrictions these can also appear on your credit file for longer periods. The impacts of bankruptcy are significant and far-reaching. It is vitally important that you seek independent advice before petitioning for bankruptcy, or if a creditor petitions for your bankruptcy. This is a great article, but somehow I feel that the debt cosulting people want and tend to scare battling peolple into paying them huge unjustified fees to manage their debts.All the bad things which are stressed about going bankrupt are already on your file by the time you are in trouble.For example, if you went with a debt management plan, it takes five years to "so called" pay your debts, the mark will still be on your record for another possible 5 years.Not to mention the huge fees paid to these managers!Now that makes a total of 10 years with a lousy credit record compared with a one year plus 5 year lousy record.The cost of bankruptcy on the other hand is nominal and the effects are short. I can now do all the things which I could do before - including being a director of or managing a company. The Co-operative bank offer a bank account with a Visa card, but no overdraught facility which I do not want anyway.